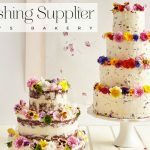 I was bowled over by Peggy Porschen, the esteemed wedding cake designer, when I heard her speak at Paperfest a few weeks ago. 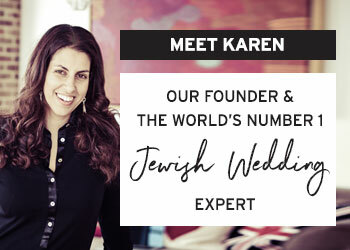 Her phenomenal success it an inspiration to all ‘kitchen table’ entrepreneurs and as much as her lecture was unbelievably inspiring, I wanted to hear more. I got in touch with Peggy after her session and she managed to squeeze me in to her very busy schedule to reveal to me her love for flower markets, designing Mary Berry’s imaginary wedding cake, her path to the top, and much, more! 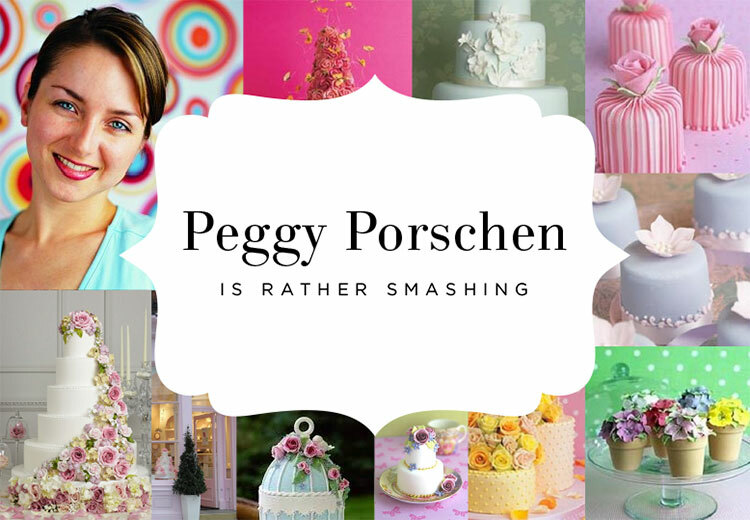 So Peggy, what’s the ’Peggy Porschen’ story? How did you start your company and what’s happened between then and now? I moved from my home in Germany to London in 1998 to study at the internationally renowned cookery school Le Cordon Bleu. After successfully completing ‘The Grand Diploma of Cuisine & Patisserie’, I worked as a pastry chef at London’s Lanesborough Hotel and celebrated caterer Rhubarb Food Design, followed by a position as cake decorator for German master-baker Gerhard Jenne, proprietor of Konditor & Cook. 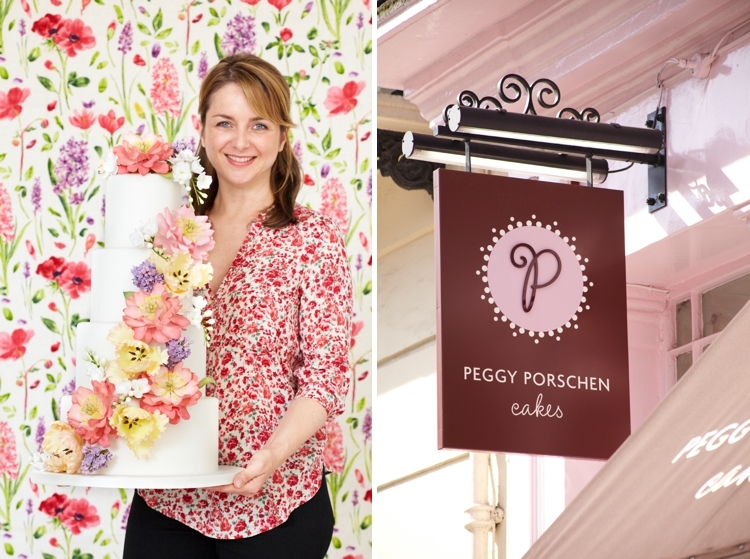 I set up my business ‘Peggy Porschen Cakes’ in 2003 from my home in Battersea, which I eventually had to move out of as the business grew and grew! 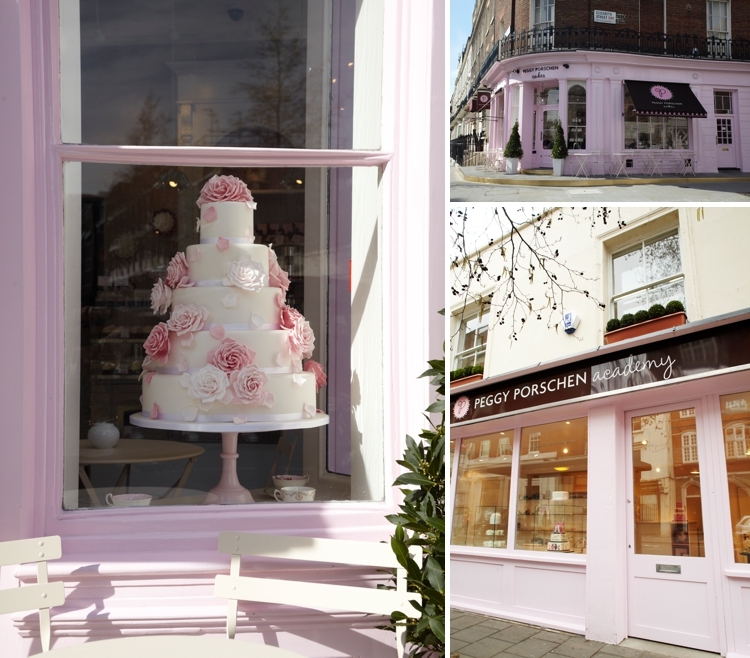 The Peggy Porschen Parlour opened in London’s Belgravia in October 2010. It was always a dream to have my own shop and offer my cakes to people on an everyday basis, I also created my own home wares & cake accoutrements range and a collection of jams and loose leaf teas — all inspired by the ingredients used in my kitchen. 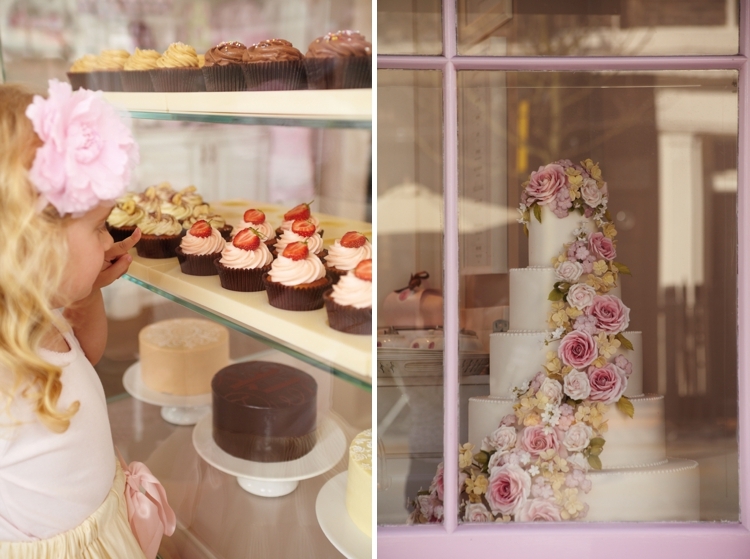 I opened the Peggy Porschen Academy in January 2011 just across the road from the parlour. 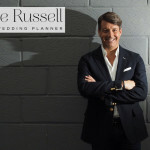 It’s a wonderful addition to the company because I am lucky enough to teach all year round and offer a range of different classes and courses to suit every proficiency level. 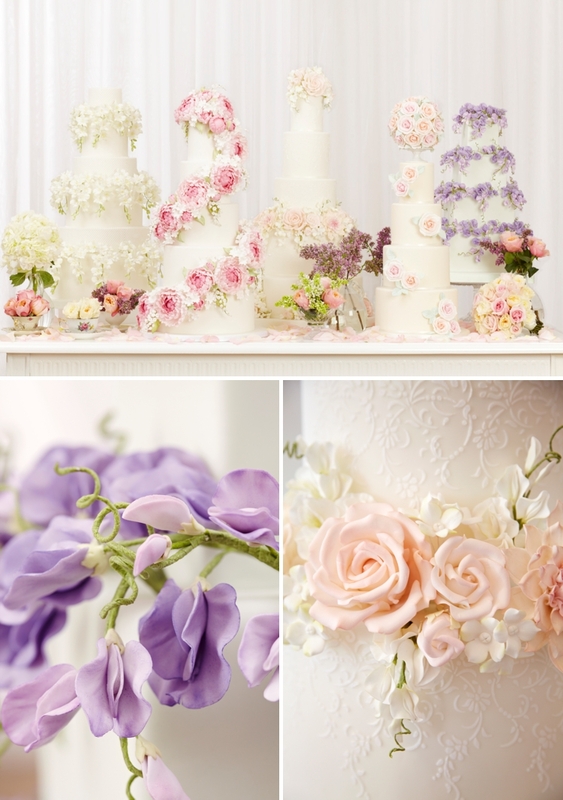 Meanwhile the bespoke design side of the business continues to thrive, I regularly bring out new wedding and celebration cake collections and my brides enjoy visiting our Belgravia bridal boutique — a space dedicated to one-on-one consultation and tasting for those wishing to commission a bespoke Peggy Porschen design. Now more than ever, standing out and having something unique or different to offer is really important in this industry. How you do feel you’ve done this and do you have any advice for people who want to do the same? 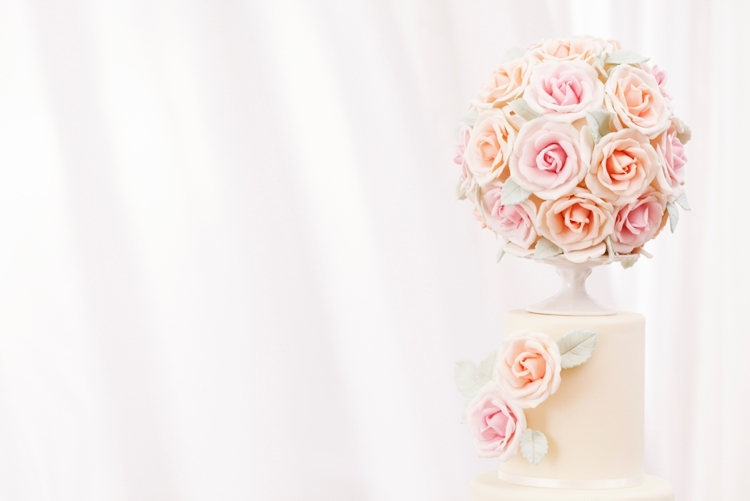 My cakes are renowned for their pretty designs that are traditionally elegant and understated with an emphasis on skilled craftsmanship and most importantly, luxuriously delicious! I pride myself on my dedication to perfection, good taste, an understanding of what people want and the skills to translate this to sugar. 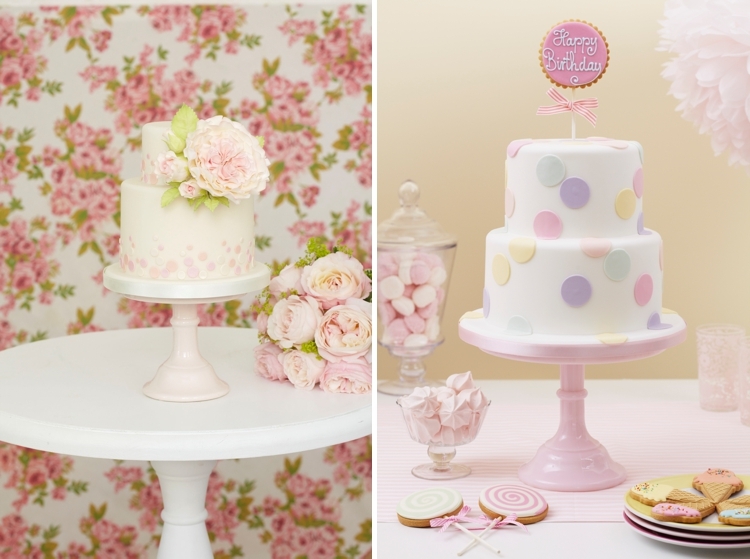 What is a ‘regular’ day for Peggy Porschen like? I mainly split my time between the kitchen, teaching in the Academy and working in the office. In the office I tend to work on new designs and help with the running of the Parlour. In the kitchen I work alongside my specialist team who are all amazingly talented and come from all over the world. From Michelin starred patisserie chefs to German konditors and Japanese sugar artists. I love to be in the Parlour after 3.30pm, when the schools in the area finish and the Parlour fills up with gorgeous little children. They are my favourite customers. 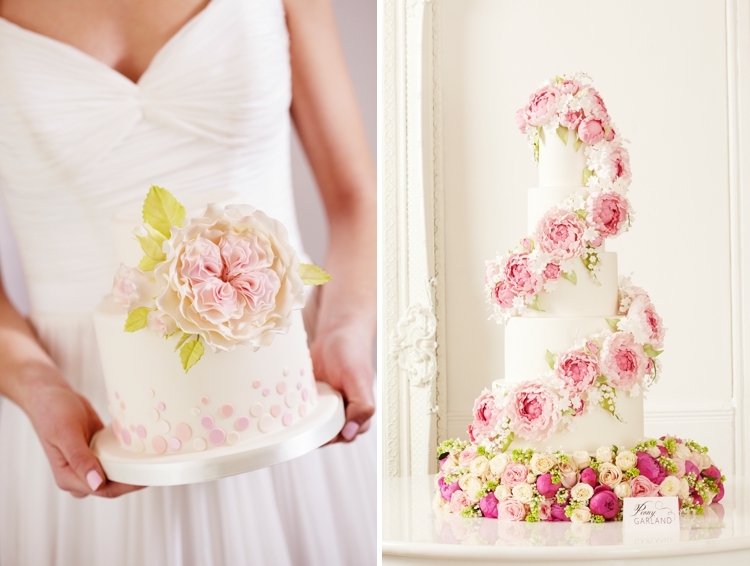 Can you tell me about the creative process for making your cakes? It’s a process! Months of recipe testing and refining and then I pick only the very best to include on my menus and in my books. I think of you as a cake artist! Where do you draw your inspiration for your designs? Who or what is inspiring you at the moment? I’m a really typical girl! I love anything pretty, dainty or feminine. Anything can inspire me from fashion to vintage tea cups or stationary — just whatever catches my eye. I then set about sketching the design, researching new methods, techniques and perhaps new products available which may aid the design. I am constantly inspired so I actually have sketchbooks full of new designs and ideas, it’s just finding the time to create them all whilst running the business! I try to bring out a new collection of cakes each year and I also use my books as a way to organise my ideas and present them to the public. 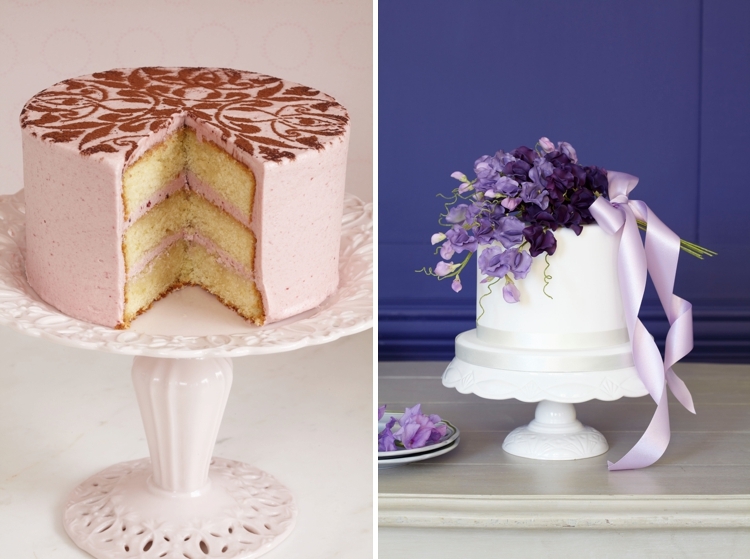 Whose wedding cake would you love to bake? She’s not getting married as far as I know, but I would love to make a cake for Mary Berry one day, I’m such a fan of hers and I think she is a national treasure. I would love to see her reaction to one of my cakes. 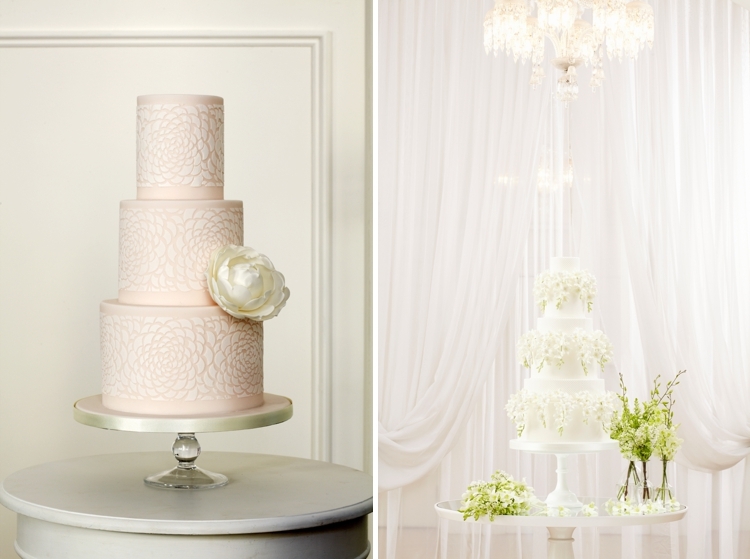 What are some tips for getting a beautiful wedding cake while still staying within a reasonable budget? 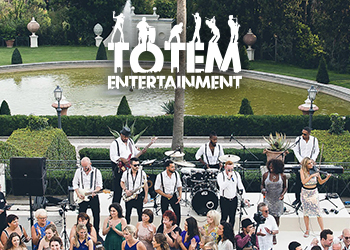 Before arranging a tasting and design consultation, a bride should ideally have the venue booked and a clear idea of the colours, flowers, theme and over all feel planned for the day. 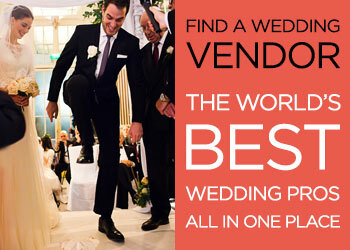 This will help them to choose a design that fits perfectly and complements all of the other elements involved in the wedding. 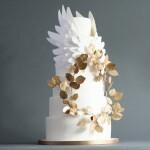 A bride should consider the size of their venue as the cake will need to stand out as a centrepiece, as well as the number of guests it needs to feed and any special dietary requirements that she needs to cater for. 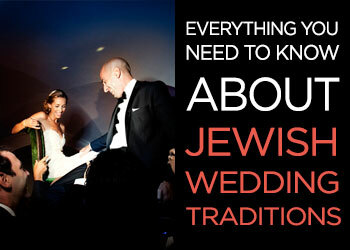 A bride should consider where and when they plan to cut the cake, will the cake be served as dessert, served later with coffee or given as favours, this may affect the fillings that are chosen. 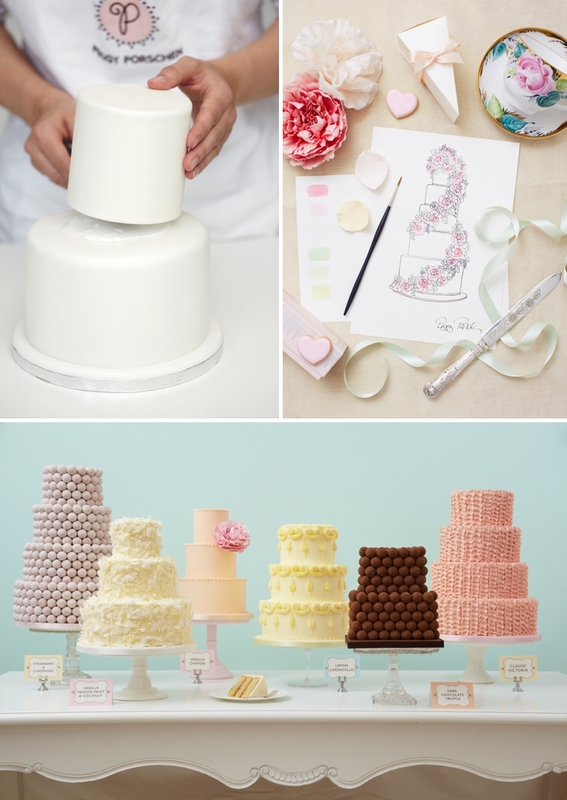 When it comes to choosing your filling, it may not be possible to please everybody but why not opt for a different flavour for each tier? 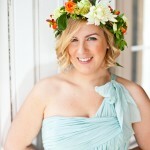 Most of my brides opt for a selection of different fillings to keeps things fun yet maintain tradition. Go with your first instinct, don’t try and please everyone as its impossible, just be true to yourself and your vision for the day. Follow your heart rather than your head. How did your book deal come about? 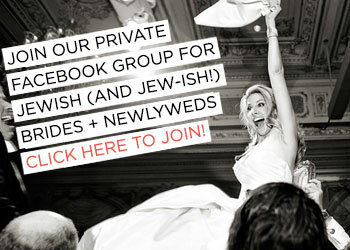 Any tips for creative small business owners looking to get one? I was actually very lucky to be discovered by my publisher at a Christmas market, I was selling cookies and cakes when she came along and gave me her contact details. It all started from there. But now with my experience and having learnt a lot about the publishing world I would advise people to believe in themselves, to put a proposal together with a moodboard, visuals and sketches as well as the concept for the book and the story behind them and their business. I would then set about researching publishers and identifying appropriate targets, then I would make appointments to pitch my idea. Publishers are always looking for something fresh and new, so don’t doubt yourself and just go for it. Cake-wise it would have to be Wendy Kromer for her original, innovative approach. She uses unusual tools and materials and you get a real sense of her Parisian patisserie background and European flair just by looking at the designs – I really admire and respect her. Ron Ben-Israel for the most outstanding sugar flowers I have ever seen — he is simply the best and I’d love to meet him and thirdly Sylvia Weinstock — she deserves a lifetime achievement award for her contribution to the industry, just consistently incredible. I actually love to visit the Flower Markets very early in the morning, it’s a visual feast and I find it incredibly inspiring — if you look at my cakes you can see the influence that flowers have had on my work. 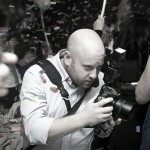 The worst is probably that I always seem to be working when others are celebrating. 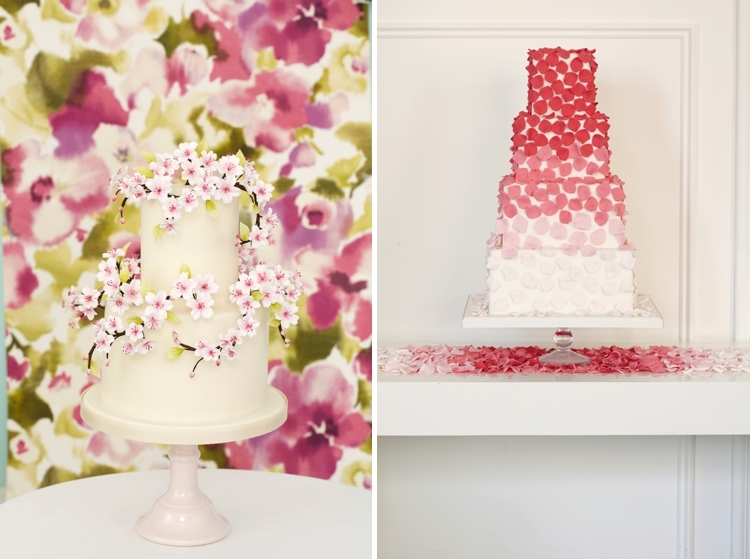 Finally, what’s next for Peggy Porschen? I am so excited to start work on another book which will be released next year, full details are top secret at the moment! 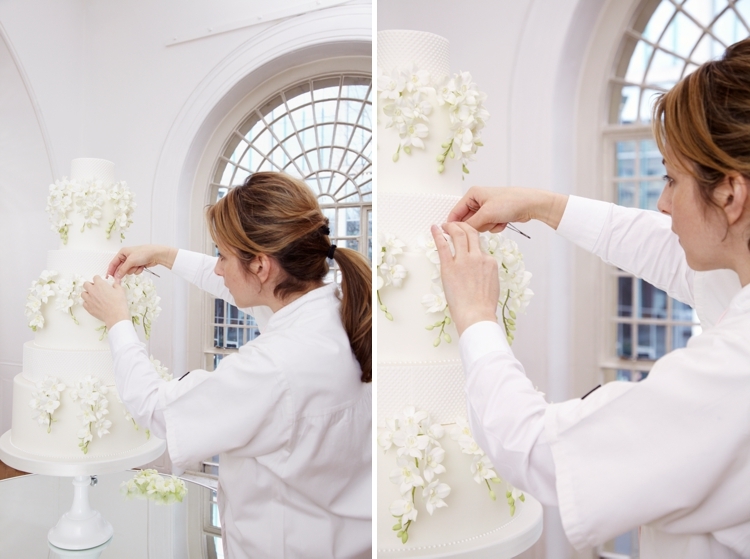 We are also currently in the midst of a summer of Sugar Flower master classes at the Peggy Porschen Academy, each class is inspired by designs featured in ‘Cakes in Bloom’ so I am really excited to be back in the classroom as I love to teach and to share my new found skills and secrets with the lovely students. 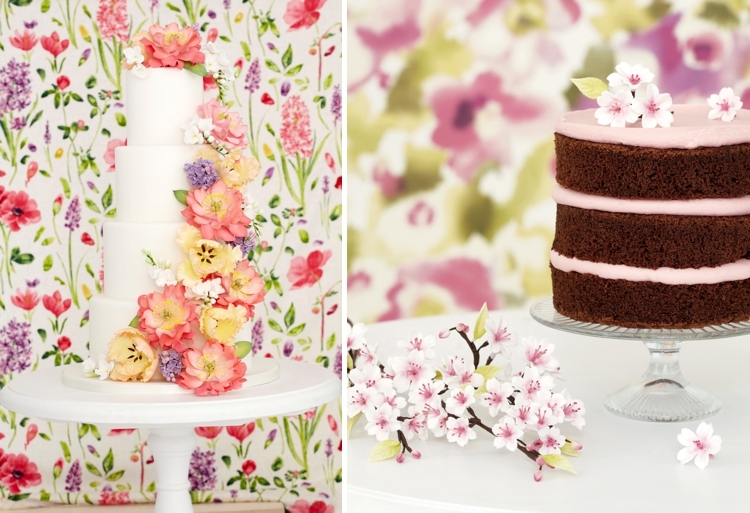 We are also very busy with the summer wedding season, having just launched a new Floral Wedding Cake Collection we are busier than ever and the team, as well as our kitchen is expanding all the time. I am also in the process of creating my own sugar flower tool collection and my own range of petal dusts, I am currently designing the packaging and we are very nearly ready to launch. 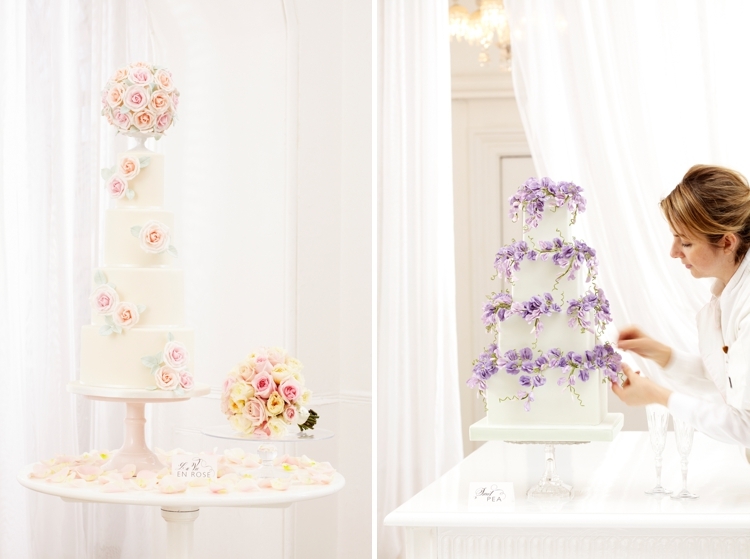 So beautiful the wedding cakes!!! 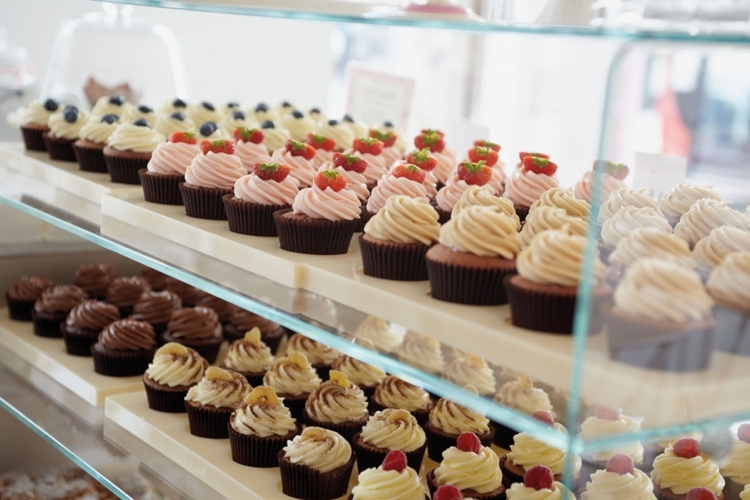 Want to go and try the lovely cup cakes now! They’re divine aren’t they? She has a shop in Belgravia where you can pop in and try them if you are ever in London. I added in the shop address at the end of the piece!